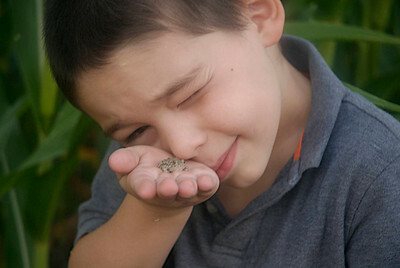 Young boy with tiny amphibian in his hand. 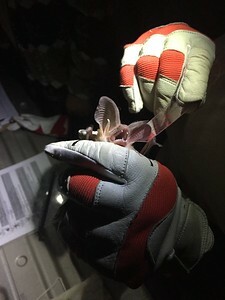 A pallid bat captured during Meet the Bats Night in the Southeastern Region. 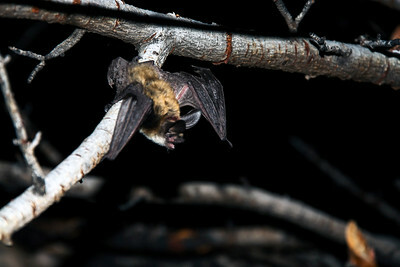 Photo by Brent Stettler, 8-2-13. 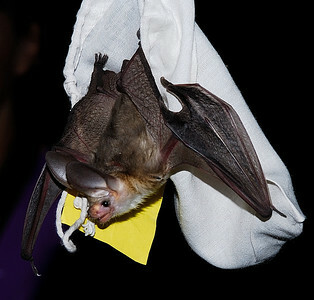 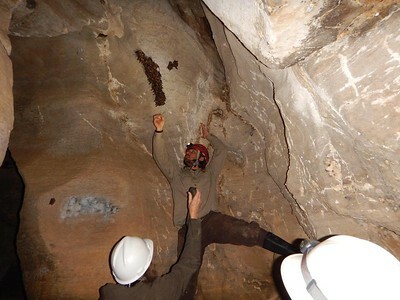 A pallid bat hangs from the capture bag during Meet the Bats Night in Southeastern Utah. 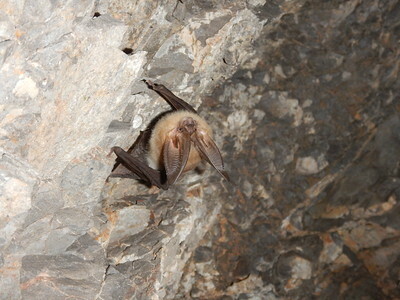 Photo by Brent Stettler, 8-2-13. 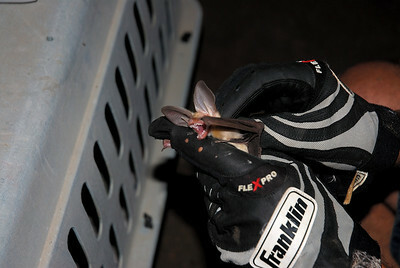 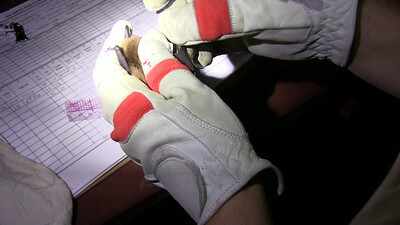 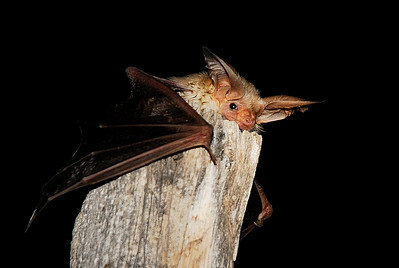 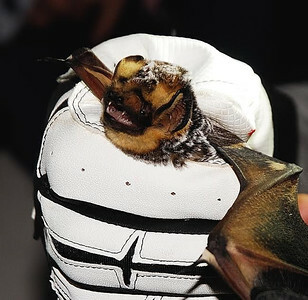 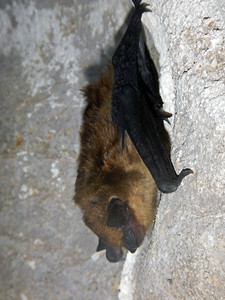 A bat recovers after processing during Meet the Bats Night. 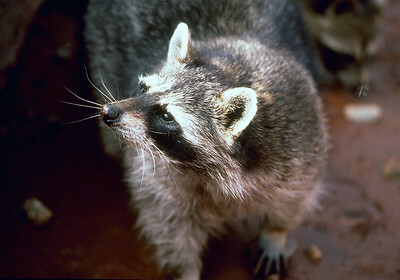 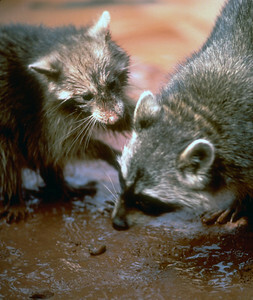 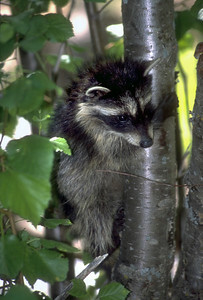 Photo by Brent Stettler, Utah Division of Wildlife Resources. 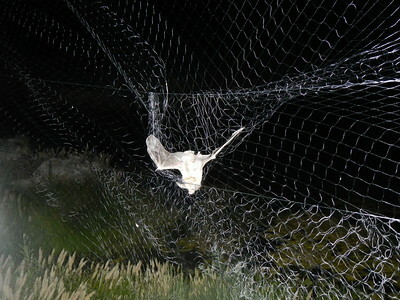 Bat in Utah being captured for processing. 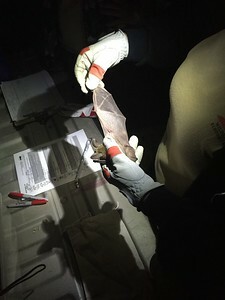 Processing a big brown bat during Meet the Bats Night. Video taken Aug. 2015, courtesy of Utah Division of Wildlife Resources. 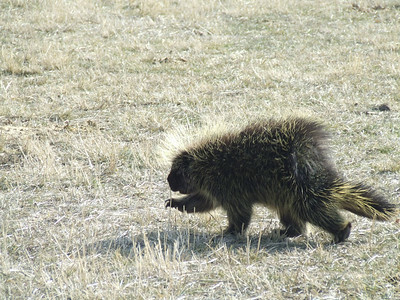 Photo by Chaylee Dixon, Utah Division of Wildlife Resources. 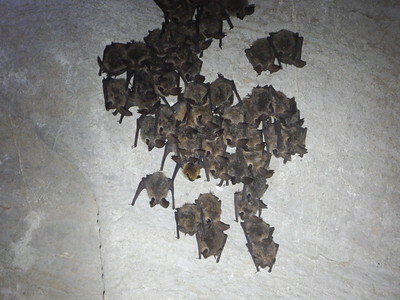 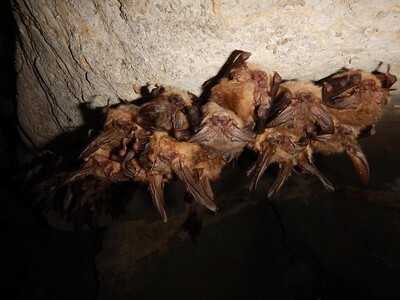 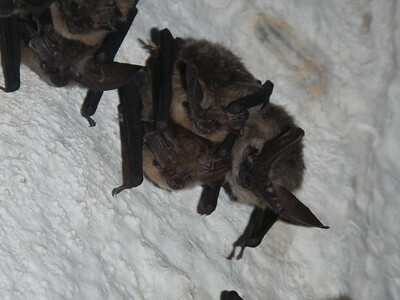 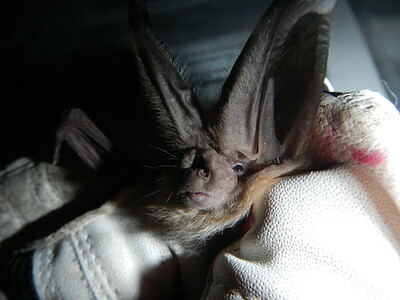 Townsend's big-eared bats. 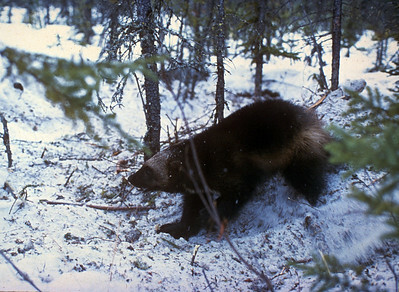 Photo courtesy of Adam Brewerton, Utah Division of Wildlife Resources. 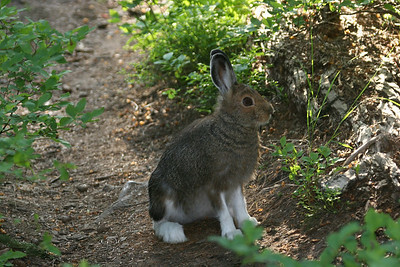 Photo by Adam Brewerton, Utah Division of Wildlife Resources.